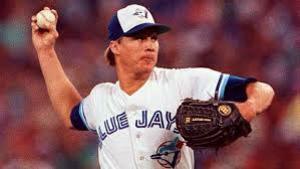 Todd Stottlemyre was a first round pick in the 1985 MLB draft by the Toronto Blue Jays and multiple World Series champion. Over his 14-year career he picked up 138 wins and will always be known as a key piece of Blue Jays history as a player who helped bring the team to prominence. Our discussion not only talks baseball, but the role his father, Mel Stottlemyre played in his development. His father tallied five World Series titles as a coach with the New York Yankees and New York Mets and was a pitcher for the Bronx Bombers from 1964 to 1974. Since the end of his MLB career in 2002, he’s been on Wall Street as a trader and now runs his own company assisting people maximize their own potential becoming the best person/business person they can be. The GM’s Perspective: What was your mindset going into your first year of professional baseball as a first round pick of the Toronto Blue Jays in 1985? Todd Stottlemyre: From the time I was growing up till the time the time I took the field and threw that first professional pitch, my desire (which became my obsession), was to follow in my father’s footsteps and play Major League Baseball. I had the most incredible childhood and environment to grow up in and that fueled that dream. For me to get drafted by the Blue Jays was no question, a dream come true. Growing up with a famous father who pitched for the New York Yankees (five-time All-Star, three-time 20-game winner), I was walking in those shadows. Despite that, my father did an extraordinary job of instilling the mindset of being the best that you can be in to my brothers and me. Whether it was baseball or another career or career path, it was never to be like him, he wanted us to be the best that we could be. By doing that, and having his full support, it took away a lot of the pressure we put on ourselves. I knew there were sacrifices and I knew what came with the profession I chose. Draft day was beyond exciting. I can remember it like it was yesterday. 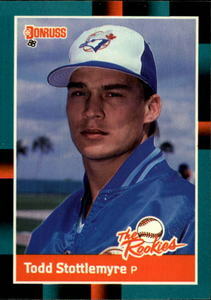 I remember Mr. Gillick calling me on the phone and saying the Blue Jays had just picked me in the first-round. What a extraordinary phone call that was for a young man to get. GMs: Obviously there is a lot pressure and expectations as a top pick and having the history of your dad included, but your dad never put any undue pressure on you or your brothers. That shows what type of person he is and those characteristics had to have rubbed off on you and the players he coached over the years. Is there any doubt that this had to have helped shape you during your time in the minors and in to the pros? TS: Absolutely. The last name came with that pressure and he knew that and he understood the perception of the media. We all knew they had a job to do, and it was a great story having Mel’s sons following in his footsteps. He was incredible, and first and foremost, he is my father. Second of all, he became our best friend and an incredible mentor. Not only for us in our baseball career, but an incredible mentor for us in our lives. My father certainly knew that the second we stepped on the diamond, especially in a professional setting, we were going to be under a microscope. Those are the challenges that surround the game. It’s not the game itself. We just had to get focused when it was our time to play. It was the game that was most important not someone’s opinion of how we were playing. GMs: You’ve done a lot more than many who’ve played. You’re in a select group who has won multiple World Series titles. In saying that, I remember growing up and watching those Jays teams of the late 80’s and early 90’s. It was such a vibrant time for city and fans. The odds on achieving a fraction of what you’ve accomplished during your career are astronomical. You’ve had a great background and immense support growing up but you still had to go out there and execute. What separates you from everyone else trying to get to that level? TS: That’s a great question. I tell people that climbing the mountain to success in whatever industry you’re in is that once you reach the pinnacle, it’s tougher to stay there. It’s a slippery slope on the backside of that mountain and it’s easy to fall off of it. It’s an ongoing process to always get better and to always try and get an edge. I’m grateful and thankful that for my years in Toronto I was in some way, through the perception of ownership and Mr. Gillick and Mr. Beeston, a fit on those clubs. I played with some extraordinary teammates, gifted athletes, and some of the best baseball players in the world. For me to be a part of those teams and a part of those World Championships was just an incredible honour for me. If we came up short one year or the next year, the mindset was to get a little bit better. If we continue to get a little bit better and everybody pulls together as a team, we can certainly hit that goal we were all striving to achieve of World Series champion. I look around and there are some great great players that never get a chance to even play in a World Series let alone win one. Our family has been pretty greedy on the rings. My father has five World Championship rings and I have three. I’m still aggravated that he has more than me!! We were blessed as people and blessed as a family, but also in the right situation at the right time surrounded by superb people. GMs: People can look at your career and say you’re one of the best. You’re not on these teams for years for no reason. You’ve been at the highest level in the world and you must have the drive and determination to get there and stay there. It’s not handed to you and I think that will resonate with a lot folks reading this. TS: You nailed it. Not one day that I put that uniform on did I take it for granted. I honoured that uniform, I took it serious and honoured the profession. It was an absolute blessing to live out that childhood dream. My father had a saying that they’d have to tear that you uniform off you to get you to stop playing. That’s the mindset that we had. We were always going to try and be the first ones at the field and out work the competition. I’ll tell you this, playing in Toronto was more than representing the city. For everybody on that team, we were so honoured and proud that we not only represented the city and the organization, but an entire country. We felt the pride of the Canadian people when we were winning those championships. GMs: After baseball you became an extremely successful businessman. You’ve even worked on Wall Street and launched your own hedge fund. What keeps you going when most could rest on their laurels and enjoy retirement? TS: My family was young and we were still having kids and I did everything in power during that first year out of baseball to take time for us. I look back on the first 37 years of my life, 35 of those were apart of Major League Baseball either as a part of my fathers career or my own. I did everything I could to take a year off, but six or seven months into retirement I had this anxiousness and restlessness. I wanted to be impactful. I was fortunate that through the right connections I had people invited me to work at their firm, a Wall Street firm, and I got a chance to work at Merrill Lynch. During that time I built an asset management team and eventually left the company to start my own investment fund. I was even a part of a couple start-up companies. Business has been a lot like baseball. It has its ups and downs and a lot of life lessons along the way. My mindset has me always trying to get better, how can I serve more people, how can I inspire more people, and how can I motivate more people. At the end of the day it’s a process. I was 37 when I retired, but I had so much energy. Even though we made tens of millions of dollars, it’s not about the money. It was always about the process and accomplishing things. I say that money will always make you more of what you were before the money. If you’re a bad person and you get a lot of money, you’ll become a worse person. If you’re a good person and you get a lot of money, you’ll probably become a better person. I hope I was the latter and became a better person. Everything I’m doing today is an extension of my father. No matter where you’re at and what you’re circumstances are, you need to know what your vision is and what your focus is. If you give power and focus to your vision, you can lose sight of your circumstances when your circumstances are very difficult. I felt like that my whole life, like there was something to shoot for and something to strive for. I just never stopped. 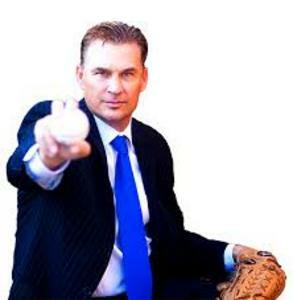 GMs: You’re now running your website toddstottlemyre.com and focusing on helping organizations and their employees reaching an exceeding their own goals. What’s the strategy when a business seeks out your services? TS: It’s been a long time coming. Over the last decade I’ve had people pushing me to move forward with this vision I have. Today. I’m in the middle of writing my first book and next month we’re launching a podcast. My father has inspired all this. My father has been battling cancer for the last 16 years. Even though he’s had difficult times, he continues day in day out with a vision for the future. His dreams are of something more, something better, and something bigger. I am so grateful of the lessons I had when growing up around my father and some of the greatest people to have ever played the game like Mickey Mantle and Yogi Berra. Those lessons have carried over to my professional career and now into my business career. It became my mission to take all of these lessons and take all of these processes that I’ve been privileged to be around and provide it to other people. Whether it’s an organization or a person, my goal is to remind them that everything is possible. The impossible hasn’t been done yet. Winning or accomplishing or building something comes down to some basic principles that I believe in. Today, if I could pass those principles and processes on to other people to help them get to another level, I’ll be living out my new vision. GMs: I listened to an interview you did about your upbringing and how your father was your role model. You said he taught you a lot, which included being a great saver. Unfortunately, others aren’t that lucky to have the type of support system that you had regarding life and finances. What advice do you have for those signing those big time contracts, but might not necessarily have the experience handling that type of money and may not have the right people around them? TS: The economy will go up and down. No matter how much you have, you’ll go through the good times and the bad times. In 2008/2009 we were like everyone else. We weren’t shielded, but I left the game with a lot of money. The reason I left with a lot of money is because our lifestyle never changed. Everything I enjoyed doing as a kid I still did during and after my career. We still have our family time on the river fishing or in the mountains hunting and its not like my lifestyle changed that drastically. Because of the money, we had the luxury to be able to do things that maybe most people don’t get to do, but I was never the guy who bought the Ferrari or 20,000 square foot house. We had great homes and lived within our means. It wasn’t a showcase it was a home. Home was a home. I never tried to buy anything to show anyone else up. The same principles and processes I had to go through in baseball I had to go through in business. I’ve always had this feeling that money can come and go. I don’t think anyone was prepared for the downturn in ‘08/’09. Fortunes were lost and trillions were lost in the stock market, but if you have the mindset and the process you can rebuild. As long as I can work the process I felt like I always had an opportunity to create wealth. GMs: I sincerely appreciate your time and I want to thank you for this interview. I also want to thank you for what you did for the game of baseball in Canada. 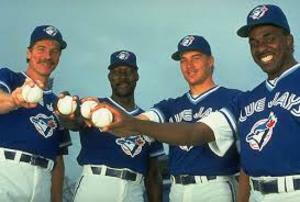 Growing up in Canada, what you did with the Blue Jays will never be forgotten. You really made the Jays become Canada’s team. Now your helping others with the lessons and principles you gained through your experience and passing that forward. Not many would do that and that has to be commended. 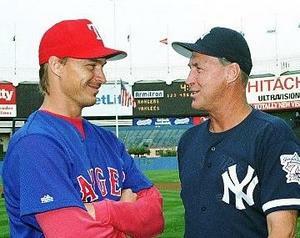 TS: I certainly appreciate you reaching out and taking the time to do this interview with me and toddstottlemyre.com. If people want to come and be a part of that and check out the site, I’d appreciate anyone who would want to register. I’ve also developed a nine-step success plan that I think is applicable and can be utilized by anyone in any profession. Going back to the Blue Jay days, we felt Canadian. I’m proud of it today and I’m proud when I go back to your country and talk to the fans. I’m so proud that I could be a part of those clubs surrounded by great teammates. As I said earlier, many of us felt Canadian. We appreciate you and I appreciate this time with you today.